In a frenzied effort to ratchet up end-of-year profits, major retailers will offer their best sales of the year on Black Friday. Although the Morgantown, WV area and adjacent regions of Marion, Preston, and Taylor Counties are not heavily populated areas as compared to Pittsburgh, the mixture of customer expectations and limited quantities produce the same risks of injuries that we hear about in larger cities. Many customers will drive with little sleep, even in bad road conditions to get a good position at the door. Try to minimize possibilities of confrontation by showing courtesy to other shoppers and don’t be perceived as a line-cutter – it will cause resentment and possibly an altercation. If you happen to be the lucky shopper who gets the last item at an incredible price, either cover (if possible) with other items in your cart or try to avoid that area of the store where others will be looking for the same item. Even in the midst of all the crowds, excitement, and confusion, retailers have an obligation to create and maintain a safe shopping environment for their employees and customers and have a duty to maintain safe parking lots, sidewalks, stairs, and railings that are clear of water, ice, and obstacles to prevent personal injury. Parking lots are part of a business owner’s property. Therefore, the owner of the retail store or other business property has a legal obligation to maintain the lot or ramp, including sidewalks and stairwells in a condition that is determined safe for public use. This includes ensuring the lot is properly marked and lighted and the traffic flow has been designed with the public’s safety in mind. If you have been injured in a parking lot accident, either while driving, riding a bike or walking, you may be entitled to seek damages for the cost of medical treatment, lost earnings and pain and suffering resulting from your injuries. The Occupational Safety and Health Administration (OSHA) has issued a guide to employers for preventing injuries during the Holiday shopping season or at any other time when large crowds gather. The OSHA guide includes provisions for pre-planning strategies, practicing, and assigning specific workers to implement security, safety, and emergency responses. The National Retail Federation issued similar warnings and guidelines to retailers that include emergency response directives and having employees practice crowd control safety measures sometime before Black Friday. 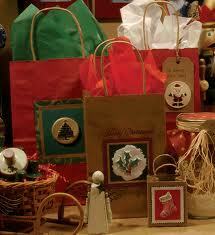 Other sound advice includes while shopping, make some trips to the car to put your gifts in the trunk. Lock them up and you can come back and finish your shopping and not have to carry everything around. After one or two bags, it gets a little cumbersome and strains your back and could affect your balance if the parking lot is even a little slick. Even though we’re not in a major metropolitan area, there will always be an undesirable element lurking about — at the grocery store, a shopping center, a shopping mall — they’re looking for an opportunity. So, don’t turn your back on anything. As a consumer, you don’t want to provide theives that opportunity. Always keep things locked up in trunk, keep your cell phone close, don’t hang your handbag on the top of a stroller or over the back of your chair in a restaurant or food court. Use good common sense, even at 5:00 a.m. in the morning. When a place of business does not provide a safe workplace and shopping environment and an employee or customer suffers an accident, injury, retail stores and malls are responsible for medical bills, lost wages and continuing disability, pain, suffering, and inconvenience caused by their carelessness. If you have been seriously injured while shopping due to someone else’s negligence, call a Morgantown, WV Personal Injury Lawyer — visit our website today or call us today at 304-594-1800 or 304-216-6695 after hours to obtain the answers you need. West Virginia Car Crash? Don’t self-diagnose injuries – get a doctor’s opinion. it is crucial that shoppers are vigilante and careful during the holiday season. Your safety recommendations are common sense solutions and are a nice service offered to the community. Please keep up the good work and Happy Holidays!